Minto Group Inc. - What’s in a Quinn’s Pointe street name? 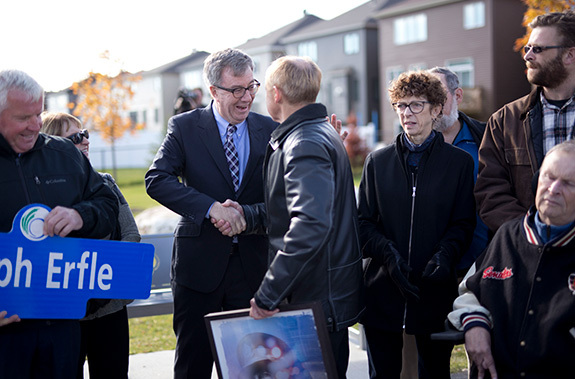 In a community with as much history as Barrhaven, it’s only fitting that we honour some of the city’s best and bravest throughout our streets in Quinn’s Pointe. 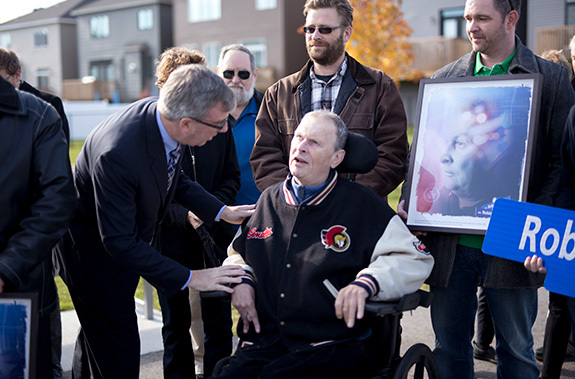 In 2017 and 2018, we unveiled three new streets named after three of Ottawa’s heroes; Sargent Robin Easey, Superintendent Ralph Erfle, and World War II Navy Veteran Alex Polowin. 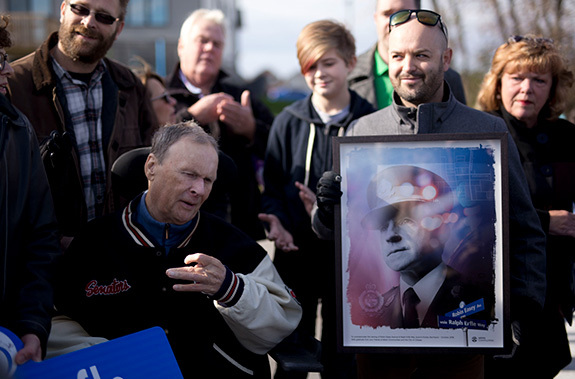 Mr. Polowin joined the Canadian Navy at 17 and was a gunner on a number of convoys that aided in the Allied victory. He was awarded the Legion of Honour in 2005 by the French government for his naval service. Mr. Polowin has been an active voice in the Ottawa community for many years and readily shares his stories of life at sea during WWII. 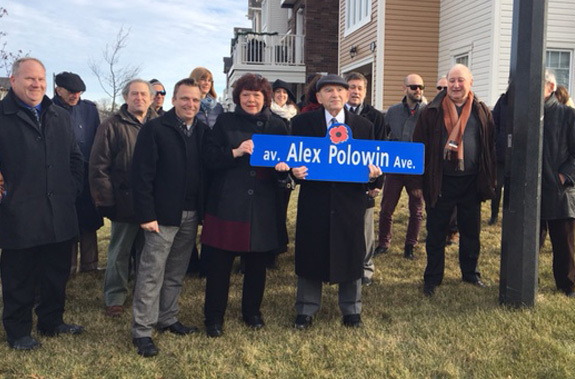 Alex Polowin Avenue is located in the first phase of Quinn’s Pointe and will run through the centre of Phase 1 and Phase 2 of this master-planned community. Sgt. Robin Easey and Supt. 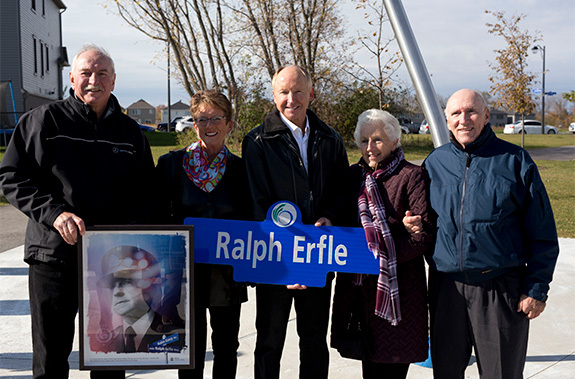 Ralph Erfle are two brave police officers who were involved in the same robbery and shootout incident at Bayshore Shopping Centre in 1984. A robbery gone wrong left both officers injured, however, they have gone on to establish incredible legacies. 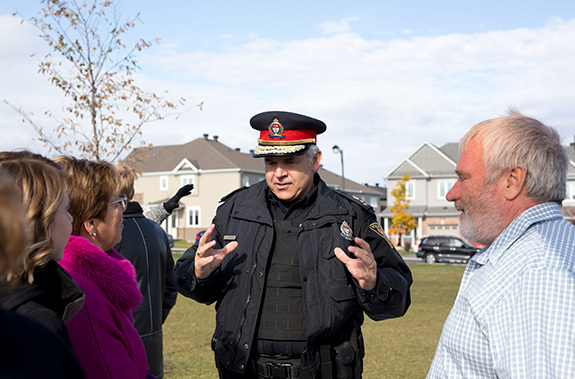 Easey and his wife Glennis started a brain-injury rehabilitation clinic, while Erfle rose through the ranks as an officer and focuses on reducing crime in the community as Superintendent of the West Divison. 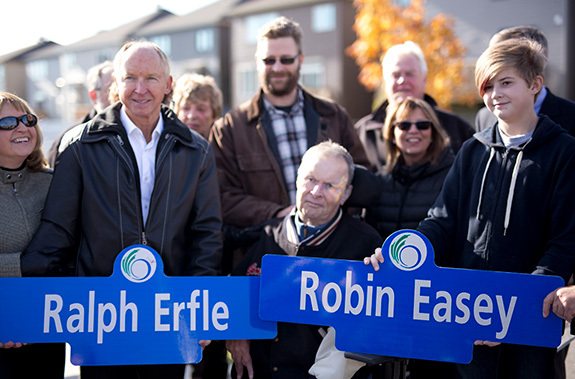 You will find Robin Easey Avenue and Ralph Erfle Way in Phase 2 of Quinn’s Pointe. 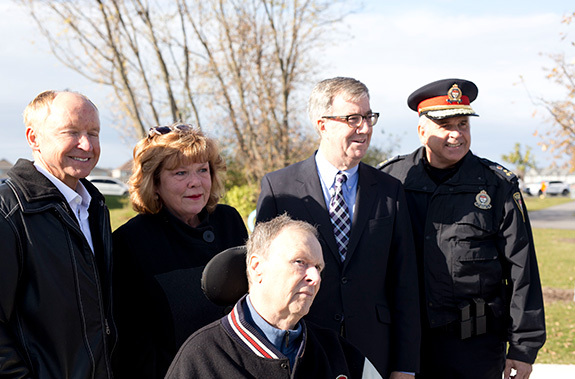 A nod to the legacy of some of Ottawa’s heroes has set the tone for Quinn’s Pointe’s future and the next stage of the community.